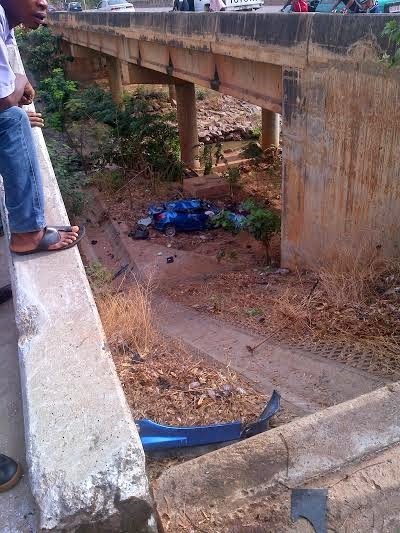 This happened this morning at Wuye bridge in Abuja. The bridge is before Berger Roundabout coming from Area 1. 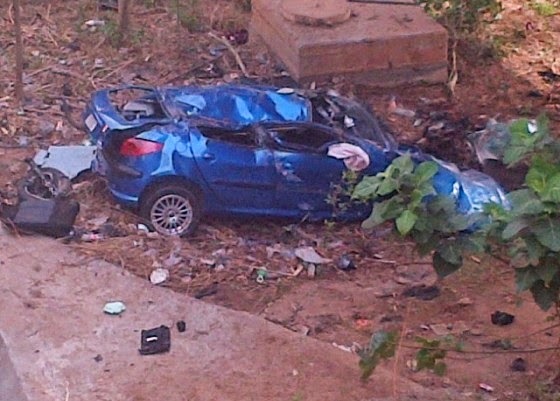 The car, with two occupants flew over the bridge and landed beneath it. Thankfully, the passengers survived but one broke his leg. Another photo after the cut..